Woman: Well I didn’t vote for you! For some reason I smile when January 18th comes around. All I can think about is January 18, 2008. 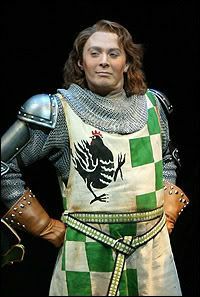 That was the day that Clay Aiken made his Broadway debut in the hilarious Spamalot. Clay played multiple roles. 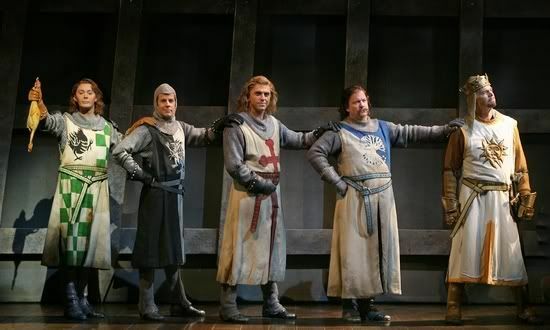 He portrayed a friar, a guard, another guard, and the cowardly Sir Robin, the knight who is a bit of a chicken, afraid of everything and loves to sing. 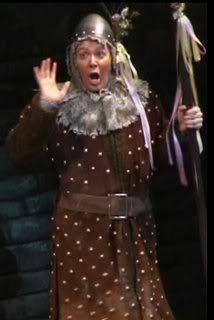 Clay Aiken is amazing beyond that glorious voice. Turns out he is an excellent comic actor and a master of character. People will be surprised by his wide-ranging talent. 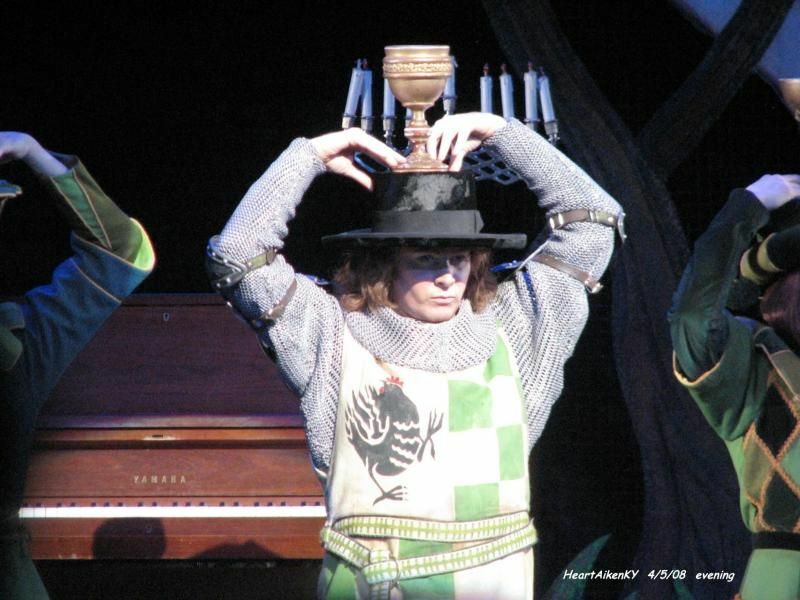 Now, if I read that, I would certainly want to see Clay in Spamalot! I hope that Clay will return to Broadway soon. I can’t wait. Whatever role he chooses will be interesting and exciting. 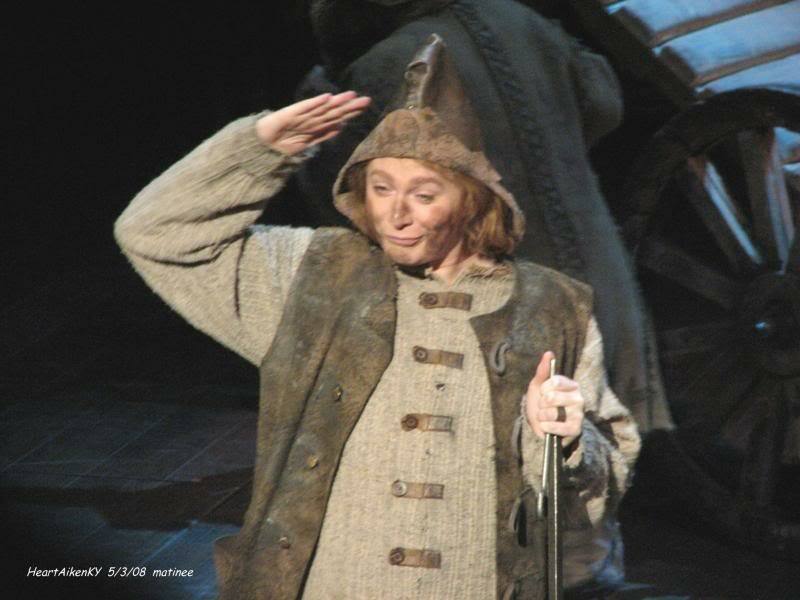 Hosaa has put together a wonderful Spamalot montage. She shows the special relationship between Clay Aiken and his fans. It’s a must-see. Two days before Clay opened in Spamalot, he visited with ET and he gave a cute interview about his preparation for the show. Error: Error validating access token: Session has expired on Tuesday, 21-Aug-18 16:13:01 PDT. The current time is Thursday, 18-Apr-19 06:47:55 PDT.